A description of all classes offer are found below. Our infant water introduction program is the perfect first experience to introduce your child to water. This group environment allows parent and baby a bonding opportunity while exploring safe water practices through out the class. Our USA Swimming certified staff leader will support you and your baby through a fun and interactive water play experience. Your instructor will guild your family through memorable childhood classic melodies & interactive games while empowering our waterbabies in their first under water experiences. Swimming is a necessary life skill. Introduce your child to the wonderful sport of swimming and see their eyes open to a whole new world of water fun. Encouraging your child to put safety first will prove to be one of the smartest decisions you can make as a parent. 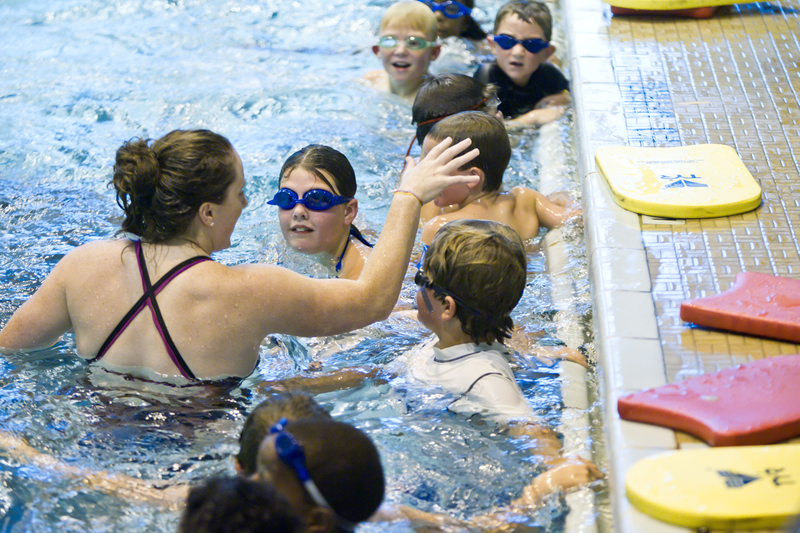 Our Beginner Swimmer programs offer small group swim instruction for children with no-to-little swimming experiences. These organized group classes focus on building a loving foundation of safety and enrichment in the water for children starting at age two yrs old up through age six. Our USA Swimming certified staff member will walk your young beginner through a fun and interactive program that introduces life-saving basic water practices to help your child quickly adapt to the water environment. These classes will include fun water play activities and sing-along routines to help transition your non-swimmer into a child that loves the water. 4 children to 1 instructor ratio. If your swimmer is super happy going under water, is oriented into a swim lessons environment and is ready to start learning how to swim, Please move over to Early childhood programs for Taadpoles. Turtle swimmers should be able to master swimming 5-12 feet without help and can demonstrate how to breath on their own. This program is 30 minutes with a 4:1 ratio. Frogs swim program was created to give newly lap swimmers instruction and practice on developing stroke technique and endurance swimming. These swimmers are not yet ready for a swim team environment and are working towards building those techniques necessary to advance. Our focus is on distances building and crating a strong connection to proper technique & stroke work. This class meets for 45 minutes and has a ration fo 6 swimmers per instructor.